Brinkley himself said that he “could” cure President Wilson. He never said he did. "[Brinkley] stated that [William Jennings] Bryan . . . cautioned that operating on Wilson would have to be done 'in utmost confidence.'" 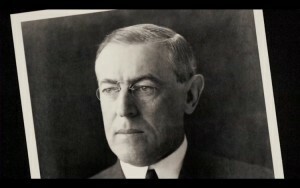 (Lee, 39-40); "[A] goat gland would restore [President Wilson] in from twenty-four to thirty-six hours, Dr. Brinkley asserted" ("Doctor Finds Goat Glands Can Cure Nerve Ailments," The Sun and The New York Herald, 19 Apr 1920, First Edition).